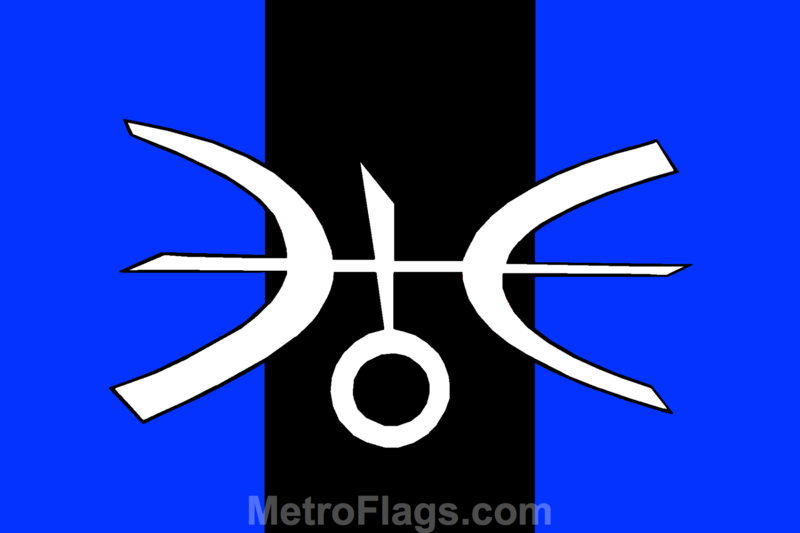 The Flag of Uranus, designed by J. Alfary, represents the planet Uranus itself and its largest moon Titania. Blue represents Uranus' water, hydrogen, and ammonia-rich atmosphere and its status as an "ice giant" planet. The white and tilted astronomical symbol represents Uranus and its peculiar axial tilt. The black circle within the astronomical symbol represents Uranus' largest moon Titania.